Sure, you could mindlessly kill zombies. Now, though, you can also put them to work. 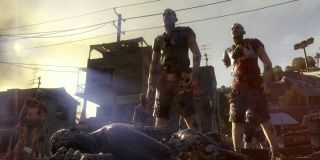 Dying Light's Developer Tools have been released, letting you create new areas and scenarios for others to enjoy. There's plenty of scope for scenario generation—letting you do everything from setting specific objectives to scripting new dialogue. Everything you make can be shared through the Steam Workshop. The video above paints some broad strokes, but if you really want to get to grips with the editor, you'll want to check out Techland's six-part tutorial series. You can find the Dying Light Developer Tools in your Steam Library, appropriately enough in the Tools menu. If you'd rather not tinker with Dying Light's innards, you can instead see what others have made over at the game's new Steam Workshop page.